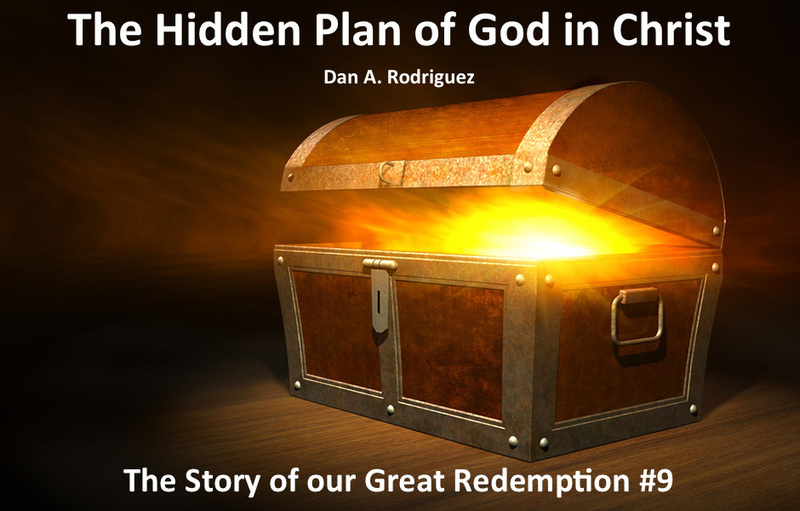 God’s plan in Jesus to redeem all that would receive it was a plan kept hidden from His enemies. He especially kept it hidden from the devil and all of hell. It was only available by bits and pieces through the prophets, but the full picture was not revealed until Jesus was raised from the dead. Why? It was kept hidden so the devil and his cronies could not interfere or mess it up in any way. It was only on a “need to know” basis, and the devil and his followers did not need to know! If they had known what God had in mind, they would have never murdered Jesus. The death and resurrection of Jesus spelled D-O-O-M for the devil and hell, and if he would of known about it, he would have backed off. However, the devil was kept in the dark, and redemption happened, the devil was defeated, and God made that redemption available to all that would receive it. Wow! Be blessed with this anointed podcast! Download the free book that was the basis for most of this study, “The Story of our Great Redemption: Beyond Human Imagination!” That's the link to get the free 194-page book. I've published five different versions on this subject since 1977. The latest 2013 version in Spanish, “Tres Días y Tres Noches en el Corazón de la Tierra” is 290 pages long. That is the most complete version I have published. In its pages are many of the extra things I brought out in these podcasts that were not in previous versions. Get the free "Tres Días..." PDF here. Glory to God!